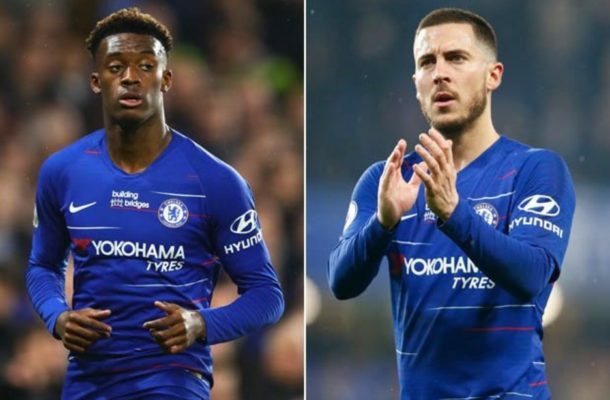 Eden Hazard has warned Chelsea against the sale of the ‘future of the club’ Callum Hudson-Odoi. The 18-year-old made his second Premier League start against West Ham United on Monday. Like Hazard, Hudson-Odoi has failed to sign an extension with Chelsea and will become a free agent in 2020. "He's the future of Chelsea," Hazard exclusively told Sky Sports. "I've told him already. He's still young but when you see him he looks like he's played 10 years. "He's a great guy to work with, he's been fantastic. He wants to learn and he's young so I hope Chelsea can keep him for a long time. "He's got quality, sometimes I understand it's hard to get young players in the team because we have people like me, Willian, Pedro. "But when he has the chance to play they have to show they're ready and Callum is showing that right now."